This entry was posted on Sunday, March 24th, 2019 at 10:26 PM	and is filed under Medieval. You can follow any responses to this entry through the RSS 2.0 feed. You can skip to the end and leave a response. Pinging is currently not allowed. I am glad you got the gender of Avalokiteshvara, also known as Guanyin correct. How the “pretty boy” Guanyin ever became the “Goddess of Mercy” is a mystery to me. 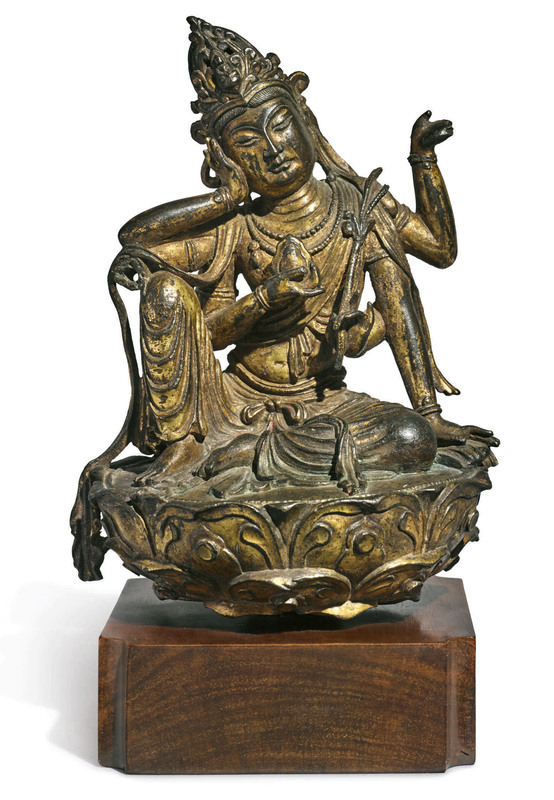 “In Chinese Buddhism, Avalokiteśvara has evolved into the somewhat different female figure Guanyin. In Japan this figure is known as Kanzeon or Kannon“. The Crossover Iconography is certainly interesting: Here, a ‘Chinese’ face combined with all those arms that seem kind of ‘Hindu’ to my completely unskilled eye. There had e.g. been even Hellenistic influences. P.S. : A relative of mine owns a wooden statue. The thing is roughly half a meter in size, looks really old, but it is of the ‘Fat Yogi’ type. Avalokiteshvara, Guanyin or Kannon images are based on Tang Period representations. Kannon the Granter of Sons became a Madonna figure for Crypt-Chritians during the persecutions following the Japanese expulsion of the Spanish and Portuguese. The story of how an ancient piece like this ended up at the garage sale seems like it would be interesting, I wonder if its provenance will ever be traced.